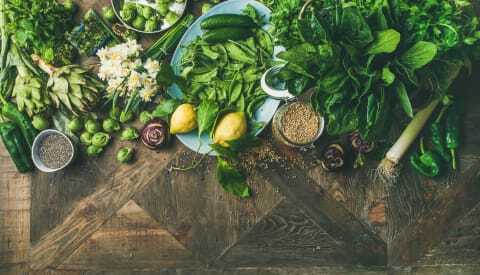 To celebrate National Curry Week, we’ve put together our very own Cauldron Curry Cookbook with all our favourite vegetarian and vegan curry recipes from around the world. At Cauldron, we are lovers of wholesome, tasteful food, exciting combinations of flavour and spices, and deliciously tanguy recipes. Curries are a very flavoursome and diverse dish. Did you know that the first curry recipe written in English was published in 1747? 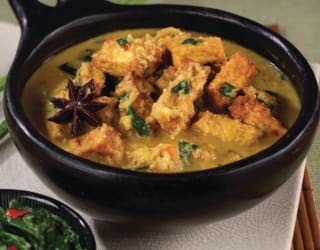 And that the origins of the word “curry” actually comes from “kari”, the Tamil word for “spicy sauce”? 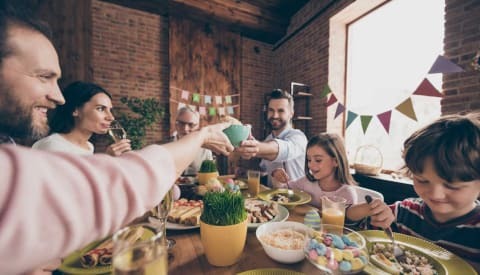 We have selected 4 of our favourite recipes from our cookbook, which you can download for free at the bottom of this page. A true taste of Bengali cuisine! This recipe pairs the sweetness of the Butternut Squash to the savouriness of the Cauldron Falafels, a flavourful mix of spices, and a delicious naan. A subtle yet spicy combination of flavours, and a delicious and comforting meal perfect for the cold Autumn days to come. 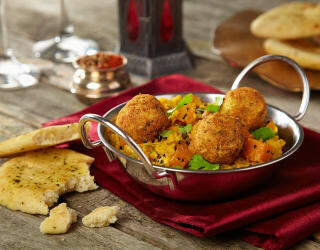 Our deliciously veggie Cauldron Koftas are served with a healthy, comforting and delicious Tarka Dhal curry. 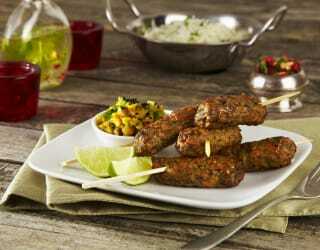 The spices of the lentils complement the warm spices of the Koftas sausages. 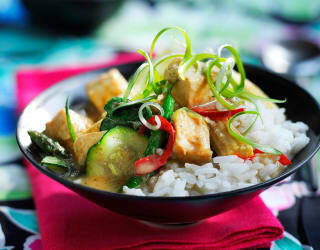 Thai Green curries are famous for their creamy, velvety texture and deliciously soft coconut taste at first, followed by a fragrant punch of spices and hot peppers. We made ours with pan-fried pieces of tofu, and crispy vegetables for a Thai Green Curry bursting in flavours and textures. A delicious vegan Malaysian Rendang curry, rich in spices and flavours. We swapped the traditional meat for our Cauldron Marinated Tofu Pieces and added some desiccated coconut bits for added taste and texture. Our Rendang Curry is great served with chilli fried spinach and noodles. Dig in! To receive our full Cauldron Curry Cookbook, sign up to our newsletter below and receive it straight to your inbox.